The biggest threat to Canada’s national security is internal. It is the offshoot of an extraordinarily successful — because it remains largely undetected — coup that imposed itself on the country with the federal election of the Conservative Party of Canada (CPC) in 2006, and solidified its impacts with the election of a Conservative majority in 2011. The “party renovation” referenced in the cable is the “renovation” of Canada’s indigenous Progressive Conservative Party into a Republican-inspired Conservative Party of Canada (CPC) that is largely subservient to the U.S Empire south of the border. A similar, but more violent, “renovation” process occurred in 2009 when the democratically-elected government of Manuel Zelaya was overthrown in a U.S-orchestrated coup. It is also the same illegal “renovation” that is destabilizing Venezuela today, as the US interferes in the internal politics of that country, in what is often described as a “soft coup”. Canada’s warmongering also bodes poorly for our collective security. 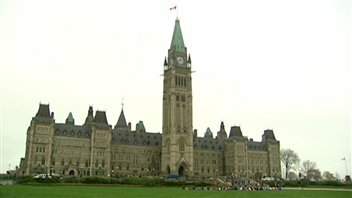 The Conservative government has exploited the collective shock of the murder of Corporal Cirillo at Ottawa’s National War Monument, and the subsequent shoot-out at the House of Commons, by falsely conflating the tragedy with “Islamic terrorism” and by using it as a pretext to wage illegal warfare against ISIS. Many Canadians, including Cpl. Nathan Cirillo’s girlfriend, argue that we should be addressing the tragedy by improving Canada’s capacity to provide mental health care for all of its citizens, yet that is not part of the Harper government’s longstanding agenda. Instead of working to stop the flow of money and arms to proxy mercenary armies – that are for the most part allied with the West to illegally topple the government of Syria’s Bashar al-Assad — Canada has instead chosen to use military options, all but guaranteeing prolonged and deadly warfare which will exact a horrendous toll on innocent civilians. This militarism will likely be a threat to Canada’s security as well, since Canada will increasingly be associated with war crimes and imperial hegemony abroad, rather than peace-keeping. The largely undetected coup, as revealed by the wikileaks cable, goes a long way towards explaining Canada’s current predicament. This secret intervention in Canada’s political landscape will continue to undermine our country’s prosperity and security, unless we become more conscious of its insidious impacts and choose instead trajectories towards peace and national security. The foundational (though suppressed) evidence is shouting that we’re on the wrong course, and that we need to make changes fast.